A big thanks to all the fans who attended the Trust in Yellow Race Night & Meet the Players following the match against Cambridge United on Saturday. The Trust were delighted with the turnout, it was a really enjoyable evening and thanks to Alan Wright and his players for playing their part. Thanks also to Dave Mullan and Merseyrail for sponsoring the event, and everyone who sponsored a race, horse and jockey. Pictured below are the race winners with their prizes, along with Tony Adams, who did his usual great job as compere, and Rob Urwin from the Trust. 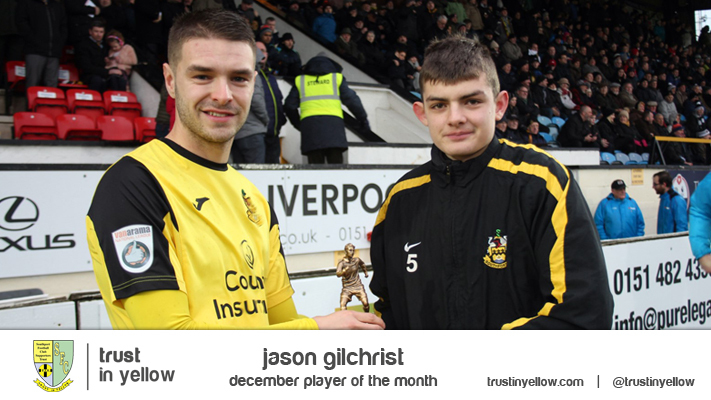 Danny Hattersley has won the Trust in Yellow Supporters’ Player of the Month for October. 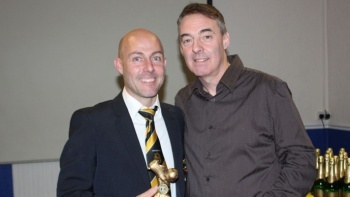 Hattersley scored three goals during the month, including two in the FA Cup win against Marske United, as well as helping to inspire a memorable comeback in the 2-2 draw at Macclesfield Town. 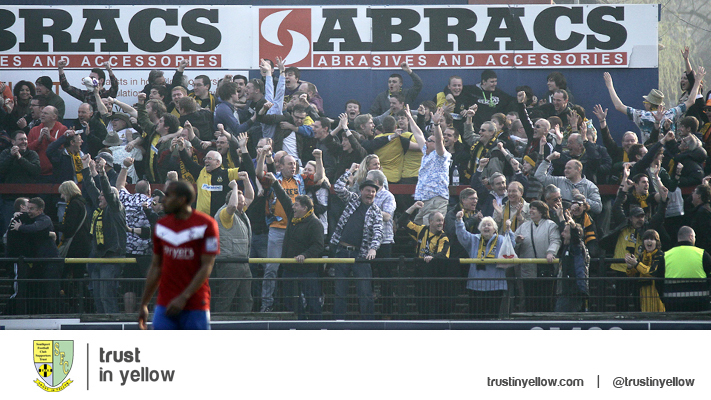 As of Sunday evening, there are 14 seats remaining on the second Trust in Yellow coach to Leyton Orient next Saturday. The Trust is offering fans the chance to travel for a special offer £25 and two coaches will definitely be running to the game. The club shop will be open between 6.15pm and 7.15pm on Friday night to allow fans to make advance payments. 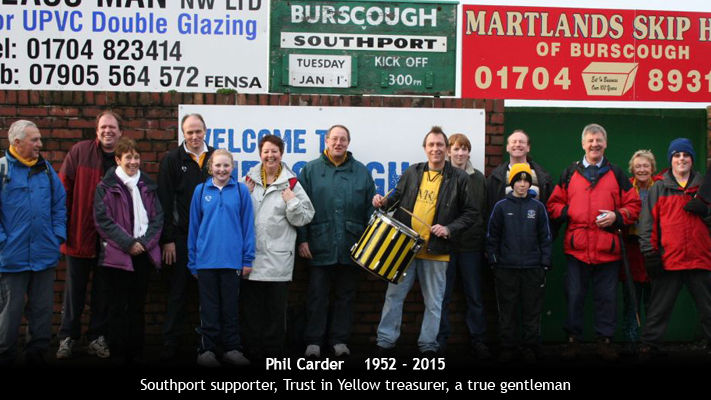 The coaches depart the Merseyrail Community Stadium, Haig Avenue, at 7.30am on Saturday. DON'T DELAY BOOKING YOUR SEAT. 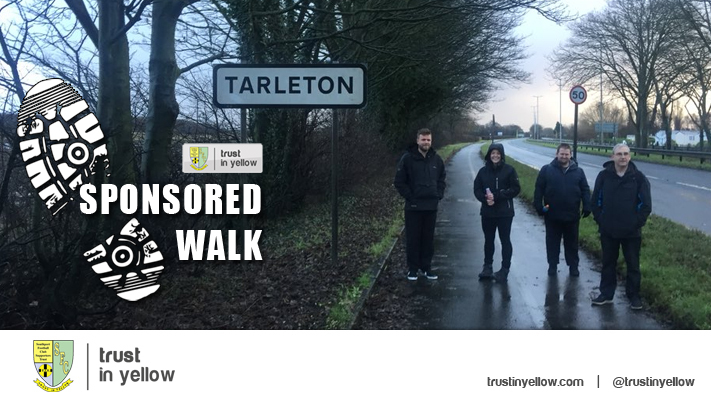 Call Alan Scarisbrick on 07980911693. 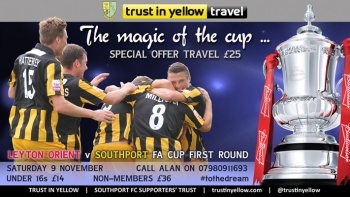 Support the Port in the FA Cup. 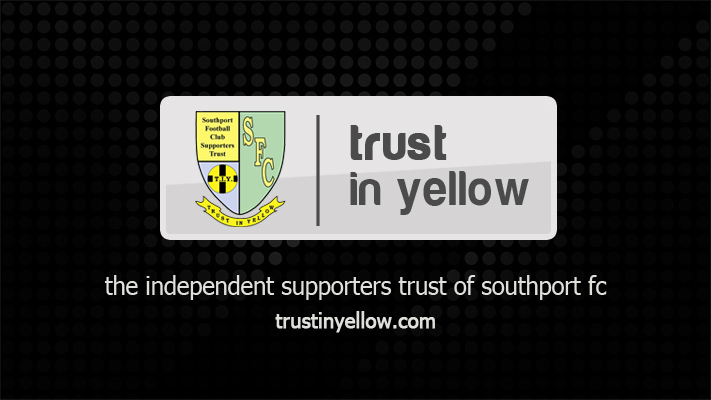 As of Saturday night, Trust in Yellow need six more bookings to run a second coach to the FA Cup first round tie at Leyton Orient next weekend. After a terrific win today against Skrill Premier leaders Cambridge United, please give the players your support next week in what promises to be a real test for Alan Wright's team. The Trust is offering fans the chance to travel for a special offer £25.